Since the United States dropped the gold standard in 1971, international currencies started to free-float against each other. Their volatility was quickly spotted by traders ready to speculate on their movement. But these traders were either high net-worth individuals or worked for big investment houses and banks that could cover the high costs of operating on the interbank market. The Internet quickly levelled the field. Suddenly, anyone with a secure Internet connection could participate in the buying and selling of currencies in the international arena. Online retail brokerage houses started to invest more and more to improve execution conditions and attract new clients. Naturally, the trading platform became the centre point. At first rudimentary, trading platforms proved to be costly for retail brokers. That is until the MetaTrader 4 came up. To the surprise of many, the MetaTrader 4 is a third-party platform. It is licensed to Forex brokers, branded, and has the big advantage of significantly reducing the operating costs. The most significant advantage of the MetaTrader 4 platform is that it has, on its own, plenty of third-party integrations (e.g., custom indicators, strategies, expert advisors). That is what makes it so versatile, which no other competitor managed to outpace it. Nowadays, the MetaTrader 4 together with its new version, MetaTrader 5, are the preferred trading platforms among retail traders. Developed by the same company, the new version appeared mainly due to regulation in some parts of the world that restricted the use of the MT4 platform. I’m sure that many of you already know the MT4 platform and are familiar and are trading with it. However, this article intends to go beyond a simple look at the platform. In doing that, I will cover the most critical Metatrader 4 tips and tricks to make your life as a trader easier. No matter how advanced you are with the MT4 platform, I’m sure you’ll find at least a couple of helpful features inside this article. There are virtually very few brokerage houses dealing with retail trading that do not offer the MT4 platform. The ones that don’t are typically big houses, with considerable investments in their dedicated trading platforms and plenty of additional costs for support and maintenance. Such brokers also have restricted conditions before opening a trading account. Without giving names, it is enough to say that for most retail traders the minimum requirements for opening a trading account are quite restrictive. The MT4, therefore, comes as a handy trading platform for a brokerage house to offer and traders love it for its simplicity and ease of use. The options are literally unlimited, and probably no two traders are using the same features once. Our MetaTrader 4 tips list begins with, what else, but the downloading of the platform. Brokers offer all possible versions for the MT4 platform. They custom the offer based on the operating system a trader has. Therefore, there’s a version for every operating system, and a web-based option, as well. When on the broker’s web page, the trader is prompted to download the platform on his/her desktop. Like any download, traders must choose the location on the drive. Nothing unusual so far! However, some traders operate different strategies and use the MetaTrader 4 platform for various purposes and with different trading accounts too. Some of them are denominated in different currencies, or simply traders run multiple strategies, so there’s the need of having multiple MT4 platforms on the same computer. If that’s the case, the trip is to download the trading platform multiple types. But, every time you do that, choose a different folder for its location. Or, if you want to keep it under the same folder, only change the name of the subfolder. With every download, a new shortcut appears on the desktop, highlighting the number of MT4 platforms on the computer. Remember: You can have multiple MT4 platforms from the same broker that have the same trading account. How cool is that! The standard version offered by Forex brokers has plenty of indicators to help technical traders. However, sometimes, there’s the need to customise it. Following these small steps is enough to upload the indicator on the trading platform. Important: However, to use it, more action is needed. The next thing is to close the trading platform. One of the essential MetaTrader 4 tips is to always close the platform after making any changes. It is the only way to save work (progress). Alternatively, you can open the Navigator (CTRL + N), find the indicator listed under the Indicators category, and click and drag it over a chart. Besides effectively trading with the MT4 platform, traders use it for its charting capabilities. 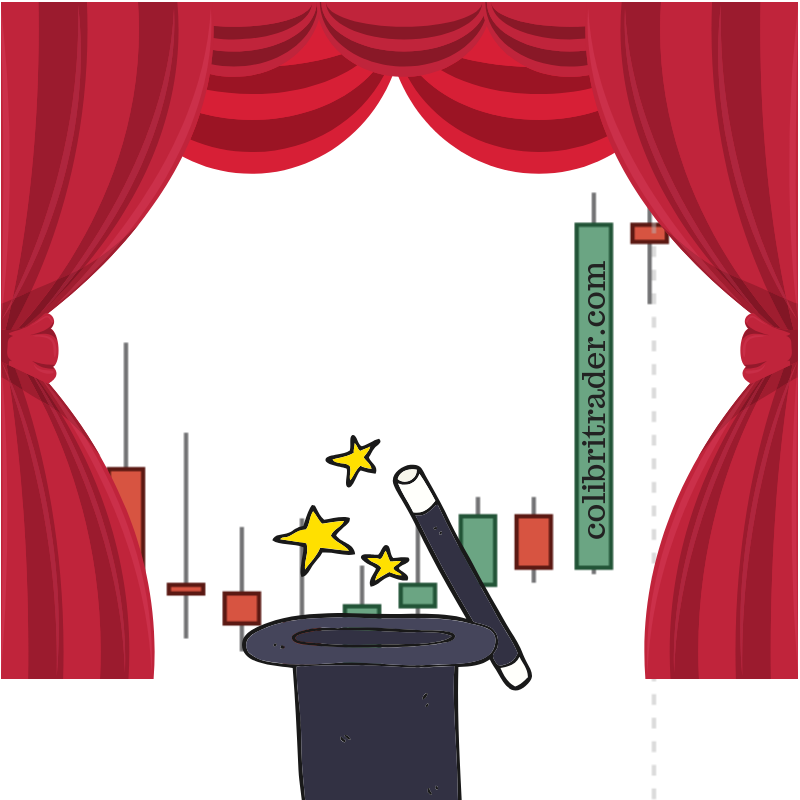 Technical analysis is more than “wizardry,”- it is forecasting future prices based on current ones. Coupled with solid money management rules, technical analysis could be a great source of trading success. Trends and trendlines are always on the trader’s mind as they are the easiest way to profit from a market’s advance or decline. But to use a trendline, one needs to edit it a bit in the MetaTrader 4 platform. After downloading the MT4, when you draw a trendline, the platform will project it infinitely on the right side of the chart. It means it has the “Ray” option activated, and you’ll need to get rid of it asap. From this moment on, the trendline will have the exact length you want it to have. Just click and drag it from and to any point on the chart. The following tip is of great value for anyone using the MT4 platform for technical analysis purposes. When having many objects on a chart, like indicators, trendlines, numbers, letters, texts, and so on, it comes in handy to select objects with a single mouse click. The issue here is that the default setting requires two mouse clicks to select an object (e.g., a trendline). Well, not that is something wrong with that, but the professional retail traders spend a lot of time in front of the screens, and each click spared saves time and effort. From this moment on, traders spare one click for every object selection. It may seem like nothing, but over the long-term, it will save you a lot of time, efforts and stress! Perhaps one of the most relevant attributes of the MetaTrader 4 is the “template” and “profiles” saving capability. Imagine that a currency broker gives access to a lot of markets. There are over twenty currency pairs on top of all the other markets one may trade from the same account (e.g., oil, gold, indices, individual stocks, etc.). Using templates and profiles simplifies the workload and makes a trader’s life easier. A template comes in handy when opening new charts. For instance, imagine you have a trading strategy that follows the RSI (Relative Strength Index) on the daily timeframe. Let’s say you look for bullish or bearish divergences between the price and the oscillator. All you have to do is to apply the RSI on a currency pair. For instance, below is the EURAUD daily chart with the RSI(14) attached to it. It shows a bearish divergence that worked like a textbook case. However, this is just a currency pair and one timeframe. If you multiply the currency pairs in an MT4 platform with the number of timeframes for each pair, the result is staggering. Adding the oscillator and setting up the chart (candlestick colours and general settings) for every single currency pair and timeframe is time-consuming. Templates, therefore, come in handy and save you a lot of time! Just click on the chart, wherever you like to, and choose the Template option. By clicking on it, you have the opportunity to save a template and give it any name you want. Next time you open a chart and want to use the same template, do the same thing. However, instead of selecting the save option, choose “load,” to load the template. Just like that, with a few clicks of a mouse, the chart is ready, having all the desired characteristics. One of the trickiest MetaTrader 4 tips is to use the same objects multiple times. For instance, imagine you count waves with the Elliott Waves Theory. Essentially, it means placing a bunch of numbers and letters on charts, to count impulsive or corrective waves. Following a precise set of rules, traders can forecast the next market move. But the numbers and letters are the same: 1-2-3-4-5 and a-b-c. Sometimes, an intervening x-wave appears too. However, that’s pretty much it. select an object from a chart (e.g. trendline, text, channel, etc.). push down the CTRL tab on your P.C. Following these four steps in this sequence is important. By the time you click the object again, having the CTRL tab pushed, the MT4 platform projects a new, identical object right on top of the existing one. In other words, it is not visible, as it sits on top of the initial one. Hence, what you have to do is to drag it somewhere else on the screen. With texts it is easy, but with trendlines is a bit more complicated. For instance, if you want to build a channel, you want to keep the original trendline’s characteristics intact (e.g., the angle). Hence, after copying the trendline, drag it from the point in the middle, so that you have two parallel trendlines to build your channel. Using the same Elliott Waves Theory as an example, there are two options in the MT4 trading platform that look similar. Yet, for the Elliott trader, they are completely different. Called the “Draw Text” and “Draw Text Label,” they have a special place on the shortcut menu so that traders find them quickly. Naturally, traders use the two options to right on the charts, to make a point to remember in the future. For the trader that counts waves, though, only one feature makes sense: the Text. When using the Text option, the letters and numbers remain on the currency pair, regardless of the timeframe. In other words, you can see the Elliott count on all the timeframes, zooming in and out of the top/down analysis. However, with the “Label” option, the written text keeps moving and you’ll lose the importance of the Elliott count. MetaTrader 4 tips like this are enough to help traders pick the right tools to use when doing their analysis using the Elliott Waves Theory. Apparently, traders’ main concern is to push down the AutoTrading tab on the main menu. That’s a simple and straightforward task. Next, in order to find the MT4 expert advisor, you will need to run and to drag it on a currency pair’s chart. However, that’s not enough for the expert advisor to run. After following the two steps mentioned, on the right top of the chart, a small emoticon appears. If the expert advisor is up and running, you will see a smiley. If not, it will show you a “sad” face, telling you something is wrong. One simple thing to check is to right-click on the screen and go under the expert advisor properties. Important: Make sure the “live trading” option is enabled. Perhaps the simplest MetaTrader (MT4) tips are the obvious ones. As charts are the bread and butter of every technical analyst, knowing how to use them is essential. The 1h is the default timeframe, but that can be easily changed from the shortcut menu on the MT4 platform. What happens if you decide to change the broker? What will happen to all the hard work you’ve put into building your trading setups? Will everything disappear? This is one of the major reasons why both retail traders and brokerage houses like the MT4 platform. Traders can easily pack up their analysis and leave to a new MT4 trading account and broker. All you have to do is to follow the File/Open data folder path and copy the “profiles” folder. Save it somewhere safe on your computer and follow the same steps on the new broker’s MT4 platform. Finally, paste the “profiles” folder into the new account. When restarting the trading platform, everything that was on the old broker’s platform will re-appear here too. There is no other trading platform to rival the robustness of the MT4 platform. In time, other third-party platforms appeared, but they didn’t enjoy the same success as MT4 and quickly disappeared. For the future, MT4 seems to continue to be the designated choice for the retail trader. This article pointed out some of the major MetaTrader (MT4) tips and tricks that showed why it is so much appreciated in the retail trading community.